The guitar has revolutionized how music is enjoyed in the modern era. While the origin of the guitar can be traced back a few centuries ago, its design and shape have been refined over time to suit the musical needs of artists. In the last few decades, a number of accessories have also been developed to further refine the guitar experience. 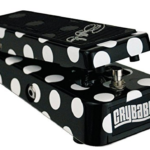 Among these accessories has been the crybaby wah, which has enabled artists to achieve impressive tones using their guitar. 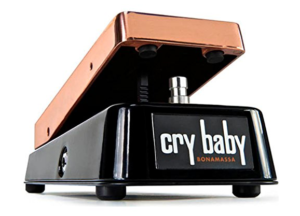 The Dunlop Joe Bonamassa signature crybaby Wah is a custom modified guitar with specially designed pedals and is classified in the wah family. 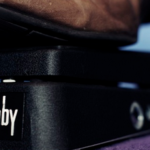 The wah pedal is believed to have brought one of the greatest impacts to the guitar as a musical instrument. This invention helped to define the music of the 1960 and 1970 era. Since then the effect has mutated into an effect capable of generating more than a thousand flavours. The Jim Dunlop line is a famous brand in the world of the wah special effects and has developed signature pedals to suit the needs of various top artists in the genre of rock music. This pedal was developed in honor of the legendary blues rock artist Joe Bonamassa. This particular model is designed to capture his unique vintage tone. This particular model has conspicuous design elements that enable it to stand out from other models in the Wah family. The top of the pedal features a rubber pad with a textured feel to it. The top edges also sport aesthetic copper elements that make it truly eye catching. The lower half of this crybaby is finished, in a cool glossy black further complementing its gorgeous look. In general the build quality of this model is outstanding, and is generally expected to last for a long time. The inside of the pedal is where the secrets behind its success lies. 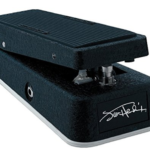 It features a halo inductor, which enables the pedal to broaden its already rich vocal capabilities and is considered vital when music lovers intend to replicate the best of vintage wah sounds. The inside of this model also houses an unparalleled true bypass toggle. This toggle gives artists the option to turn it off or on depending on the desired effect they want to replicate. The pedal also has an inbuilt chargeable battery that is easily accessible. It is designed to work best with fuzzes in particular due to its high output buffer. This unique pedal is also versatile and delivers quality regardless of the guitar combination used. When turned on the pedal delivers a wide range of frequency modulation. It is advisable that new users should spend some time getting used to the handling of the rockers especially if they were used to other brands of wah. This model can be purchased online via the websites of global retailers. This particular model is made in the United States but due to growing popularity, it is in great demand overseas. For those intending to purchase the unit overseas, shipping costs might vary though the overall price remains competitive. This best Dunlop wah is quite pricey but when compared to other brand in the wah family, most people would find it reasonably priced. The popularity of this pedal has continued to grow due to the high frequency modulation that this model can deliver. The pedal has a wide and expressive sweep that enables it to produce long and pleasing whines. The versatility of this pedal also sets it apart from other brands in the market. It is suitable for any guitar or amp configuration. In summary given the quality and high end tones that this delivers in comparison to other high end units, this pedal is worth a try. Whether it is a solo or a group stage performance, the Bonamassa has added unique elements to the use of the guitar as a musical instrument.